Naratif is a condensed display font based on an early 1900 sans-serifs and gothic faces. 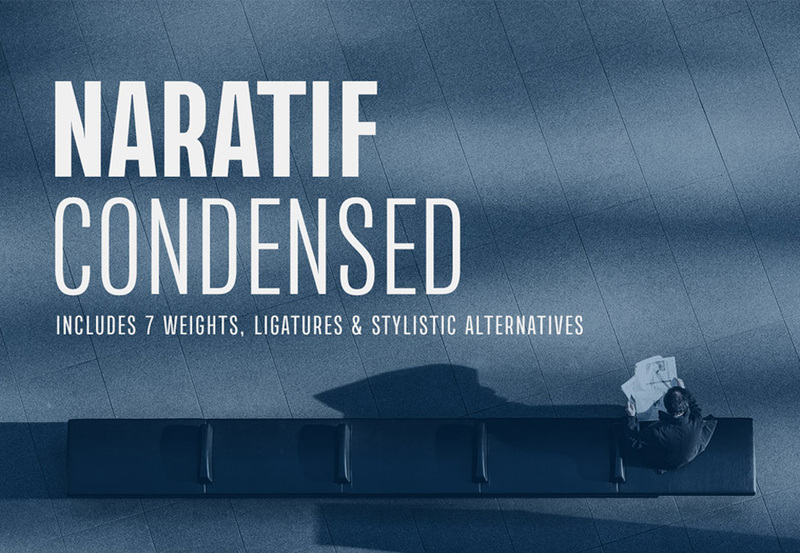 Naratif Condensed Typeface has 7 weights including italic. This font is great for all of your display needs. With a wide range of language support, and OpenType features such as Small Caps, Fractions, Alternates Character, Inferior and Arrows, this display font has it all!